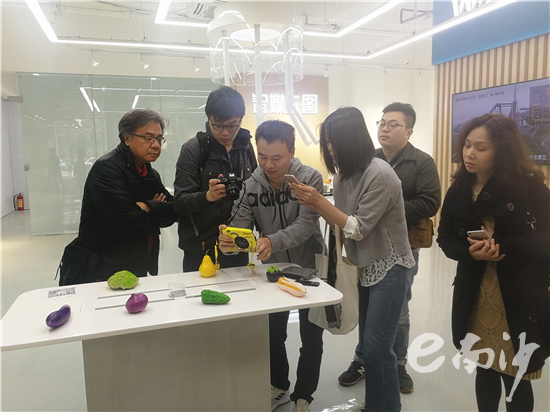 A delegation of eight media representatives from Taiwan paid a visit to Nansha's famous technology incubator Unicorn Field on Jan 14. Unicorn Field is an incubator dedicated to the incubation of companies involved in artificial intelligence, cloud computing, big data, block chain, mobile internet, intelligent manufacturing, Internet of Things, virtual reality and augmented reality. The delegation listened to project introductions at Unicorn Field, and were shown around the facilities. They interviewed companies there, including Pony.ai, a Beijing-based technology company devoted to the research and development of self-driving cars, and Cloudwalk, a giant in facial recognition. The Taiwanese visitors expressed their surprise at the the rapid urbanization of Nansha and vowed to strengthen their coverage of the Chinese mainland in order to raise awareness of Nansha in Taiwan and encourage more Taiwanese people to visit Guangzhou to participate in exchange activities.